Petra was born in 1965 in the south of Germany. She lives with her husband and two dogs in a little village between the Lake Constanz and the Black Forest. The industrial "Mercedes Benz-city" Stuttgart is not far away, but there are also a lot of old castles and beautiful landscapes with forests, mountains and lush meadows. Petra says: "I love my home and couldn't imagine living somewhere else. Here it is quiet enough for me to write but also lively enough for me to feel inspired. A German Author in America ... For Petra this means a dream come true! First the Glassblower-trilogy, then the Centurywind-trilogy - Petras success in America is unbroken. American readers love her books so much that she finds herself under the top 100 Authors in March for weeks going on! Petra says: "I can only repeat myself and say thank you to all who make this dream possible!" Petra is overwhelmed about the huge success of her novels in the United States. She says: "I want to thank all my readers! Without you nothing of this would be possible. You made a lifelong dream come true ... Thank you, with love, Petra"
Petra says: "I'm happy and proud to be able to present you with my second Trilogy. 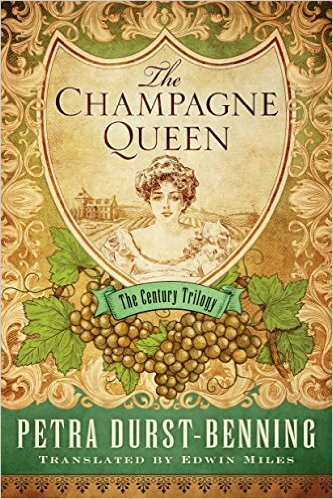 It is called the "Century-Wind-Trilogy", because I tell the story of three best girlfriends around the turn of the year 1900. The first book is called "While the world is still asleep" and I wish you all as much fun with it as you have had with my "Glassblower-Trilogy"
Many happy and blessed wishes from Petra with love"
The fulminant ending of the heartbreaking story about three best friends - Clara, Isabelle and Josefine. 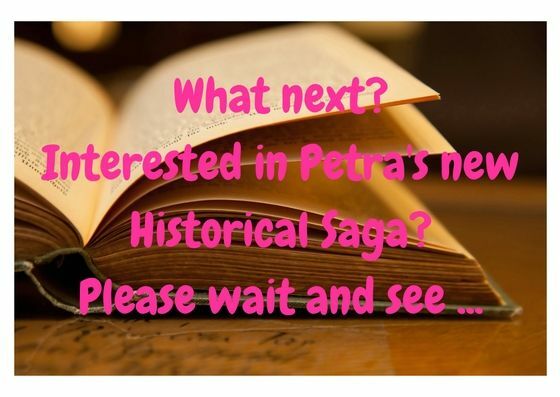 Do you want more "Petra"? 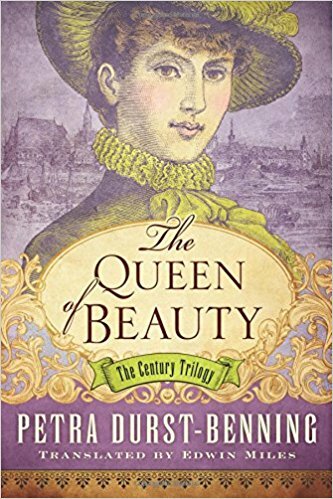 Up to now Petra has written 14 historical novels; right now she is writing her first contemporary novel. She has sold more than 2.5 million books in Germany alone and has developed a loyal following of readers. What people especially like is the accuracy of Petras research and her sensual way of writing that gives readers the feeling of being in t he middle of the action. 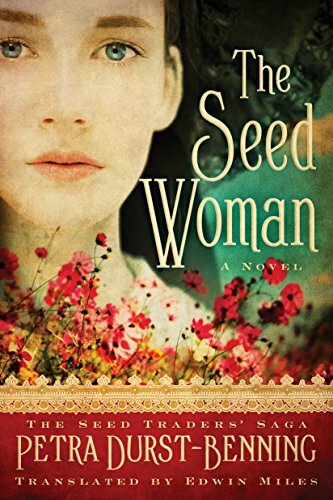 Mostly her spellbinding stories are about strong women going their own way even if it is stony and hard. Petra says: "I want to entertain my readers and I also want to give them a holiday away from everyday life." Since Petra always visits the places about which she writes, she also traveled to Lauscha, high up in the Thuringian woods. There she met with glassblowers and the glass princess, there she learned about the art of glass blowing. She also researched in the museum library and made a lot of friends in this little village. Petra says: "Before I can write I have to see, hear and experience my surroundings with my own senses. Only then can I describe everything in a way that my reader feels magically drawn into my book." She loves to decorate her home, she loves her antique Christmas glass ornaments and she loves to make people happy. Petra says: "It is my greatest joy that "The Glassblower" is now available in America and Great Britain. I want to give all my American and English readers a lot of happiness. May a bit of christmas feeling sparkle from every page ..."
After every book release Petra starts on a grand tour of readings. She visits big towns and small cities, she reads for her fans, she chats with them, she listens to them and ... she signs books for every one of them! Sometimes the queue is so long that Petra has to sign over an hour ... Busy girl! 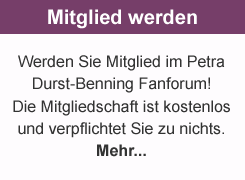 Petra says: "I love the contact with my readers! And I'm very happy that they share their ideas and feelings about my books with me. When I come home late at night after a long evening of reading, laughing and exchanging stories, I'm dead tired but also happy!" Writing is Petras life! But she also loves to cook, to work in the garden and to invite friends for dinner. Every day she enjoys long walks with her dogs and when she has time she also loves to knit and sew. Petra says: "Creativity is an infinite spring - you cannot turn it off like a tap." Follow me on Pinterest, too! If you want, you can follow me on Pinterest too!